You know what type of inversion doesn't get enough love these days? The good, old fashioned vertical loop-de-loop. Schilke's new fangled stalls and high-speed barrell rolls through dense wooden supports are all well and good, but you can't beat the original, up and over sensation of a vertical loop. 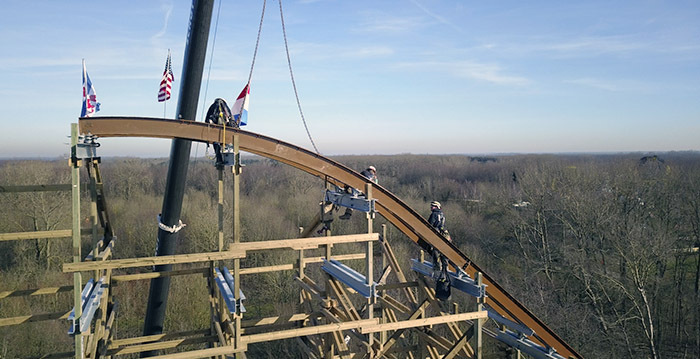 I realise that that's easier said than done - the support structure of an existing woodie probably doesn't lend itself well to the inclusion of a loop-de-loop - but I'd love to see one on a built-from-scratch RMC one day. Yoris Kerkhoff, shawnoc and b&mfanboy123 like this. I reckon they just do a big steel arch a bit like Wildfire's lift and slot the loop in that way. No need for all that messy timber in there! Yoris Kerkhoff, tomahawk, shawnoc and 4 others like this. Schilke said that he doesn’t want to make vertical loops because he believes that they are overused and are not dynamic enough. I do think that a vertical loop could work on a Raptor though, but definitely not an I-Box or Topper Track. TMCoasters, b&mfanboy123 and Alessio like this. Would be epic to have the world's first double-zero-g-roll! Untamed is definitely on my 2019 to-do list. Wildfire and NTaG were so good I expect nothing less even if this is much smaller in size. Pokemaniac, Coaster Hipster, JoshC. and 12 others like this. vaugc002, Pear, Lofty and 2 others like this. Love the idea of nature taking back control - it's kinda Thirteen-esque and I dig it. 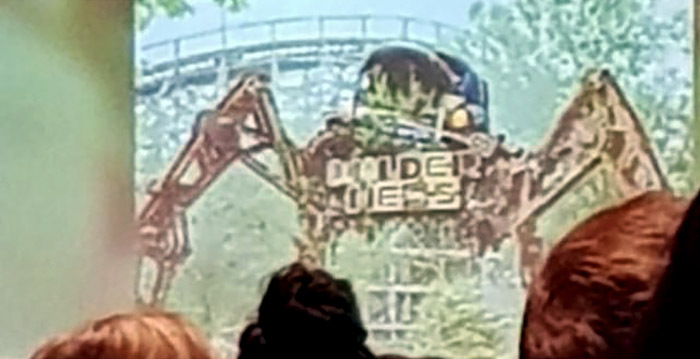 I feel like it's not necessarily a bad thing that Untamed will focus on inversions. This offers an opportunity to show us exactly how good Alan is at designing RMC multiloopers instead of RMC airtime machines. It's the bowler hat from Meet the Robinsons! Kw6sTheater, CoasterMac305, Zek_Teh_Kek and 4 others like this. It’s the thing from outside the JCB factory on the way to Towers! Serena, vaugc002, FistedColossus and 4 others like this. Howie and vaugc002 like this. Four days to go until the next "Making of" video people. Thursday can't come quick enough. SingleRiderReak, Pokemaniac, Matt N and 4 others like this. Why have they got those separate metal beams under the ones connecting the track at the crest? I do wonder, why the UK flag? 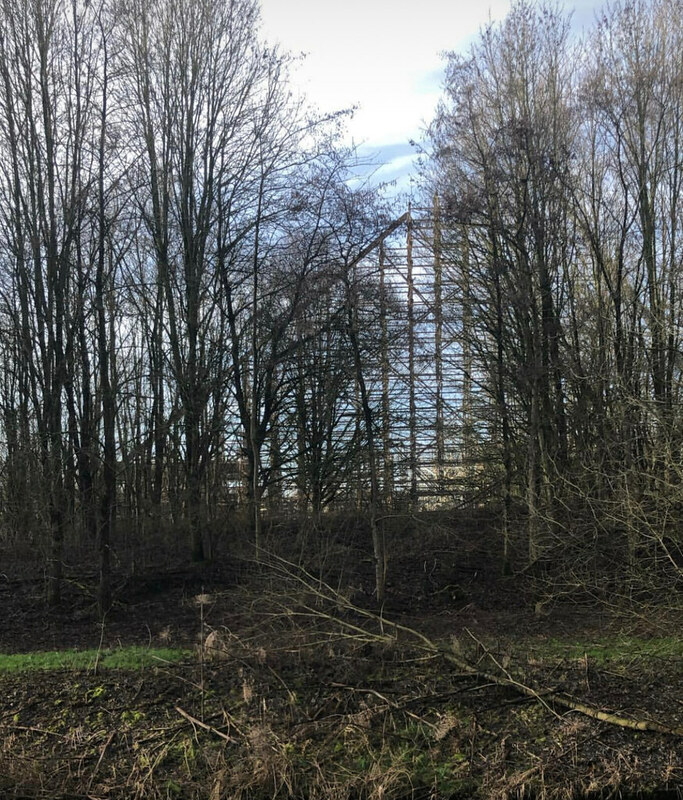 I have a feeling i's for the chain return device and possibly some other gubbins at the top of the lift hill. You can see a platform on other RMCs at the top, which could be something similar. I don't think it is a UK flag, though. Maybe just a bad angle, but there doesn't look like there's enough red for the UK flag. Pokemaniac, toofpikk, Yoris Kerkhoff and 1 other person like this. Metaphor for the steep drop towards rock bottom. FarleyFlavors, GuyWithAStick, SingleRiderReak and 14 others like this. vaugc002, Yoris Kerkhoff, Hixee and 1 other person like this. Oh dear, the Frisians are considering themselves foreigners again? Fluorineer, Pokemaniac, FistedColossus and 7 others like this.